We're excited to head to Sheffield's Off the Shelf literary festival on 24 October to showcase a selection of work developed through our Northern Exposure: Short Film Script Lab. Our BFI NETWORK team have been working with a group of 10 writers for the past 2 months, developing short film scripts from initial ideas into completed drafts through a series of collaborative workshops held in Sheffield and Newcastle. 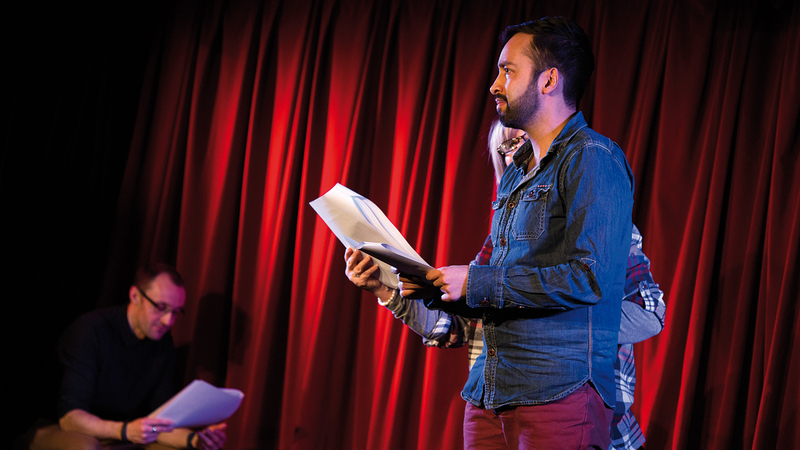 The Off the Shelf Scratch Night represents the culmination of this process as we present rehearsed readings of work developed through the lab by some of the North's strongest emerging writers. After the readings, you'll have the chance to talk to the writers themselves and discuss their development process as we move into DINA's bar space for an informal chat. We want you to join us in toasting the success of the Script Lab participants, so we're throwing in a complimentary drink included in the ticket price. The Scratch Night takes place at DINA on Wednesday, 24 October from 6pm. Tickets are £3 and are available from Off the Shelf. Want to more about the Northern Exposure: Short Film Script Lab? Read about the launch of the scheme and meet this year's participants.